Amazing savings to explore in this seasons sale. Amazing discounts across clothing, shoes and accessories for a limited time only. Enjoy this discount on your first order and be the first to hear about any future offers when you sign up. Free click and collect with your orders. Register with UNiDAYS or Student Beans to receive a great discount. Fantastic discounts on a selection of stylish blouses, t-shirts and jumpers. Treat yourself with great discounts across a selection of stylish dresses. Choose from a great range of shoes and boots at discounted prices in the sale. For feminine fashion, flattering fits and fair prices, head to Dorothy Perkins. You’ll find great deals on stylish dresses, tops, bags, jewellery and more. Find all your wardrobe staples, such as a trusty pair of jeans, cosy jumpers you’ll reach for time and again, and some comfortable office shoes, as well as those exciting purchases like a sparkly bodycon for a night out or a pair of summer wedges for your next holiday. Dorothy Perkins is a firm favourite among fashionistas of all shapes, sizes and styles. You’ll find your favourite floral print in a variety of sizes, and with its Maternity, Curve, Tall and Petite ranges there’s something for everyone. Whether you're looking for a whole outfit, a statement item or some subtle earrings to complete your look, browse our selection of Dorothy Perkins promo codes and start making some space in your wardrobe! What else does Dorothy Perkins offer? Does Dorothy Perkins offer free delivery? Does Dorothy Perkins offer student discount? Does Dorothy Perkins offer NHS discount? Pop a couple of extra bits into your basket because if you spend over £50 online, you can take advantage of free delivery. Sign up to the Dorothy Perkins newsletter and you’ll be first in line for special offers, birthday treats and style inspiration.  What’s more, you’ll get 10% off your next order. Check out our selection of Dorothy Perkins voucher codes and start updating your wardrobe today. It's not just workwear and casual clothes you can find at Dorothy Perkins. You can discover a beautiful collection of elegant and affordable wedding dresses spanning glitzy gowns to vintage-inspired lace, guaranteed to see you walking down the aisle in style. Kit out the kids in some of the cutest little fashion pieces around, with an adorable children's range spanning ages 18-months to 13-years-old - your mini trendsetters will be dressed to impress when they head off on their stylish adventures. Dorothy Perkins has an extensive Help and Support page for general enquiries. If you can’t find what you’re looking for, call its Customer Care Team on 0344 984 0261. Spend over £50 and enjoy free standard delivery from Dorothy Perkins. Dorothy Perkins offers 10% student discount when you register with UNiDAYS, StudentBeans, or show a valid student ID in store. Members of the Health Service can enjoy an exclusive 10% NHS discount at Dorothy Perkins. View your basket online and enter your voucher code into the specified voucher box. Click ‘verify code’ and your discount will be automatically applied.